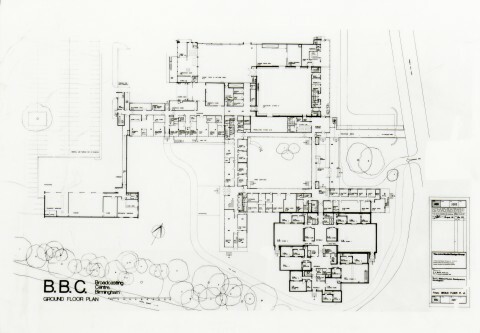 Negative, Ground Floor Plan, 1971. This digital resource is available under a Creative Commons CC-BY-SA 3.0 license, with kind permission of the Birmingham & Five Counties Architectural Association Trust, thanks to the Architectus project (part of the Jisc Content Programme 2011-13). 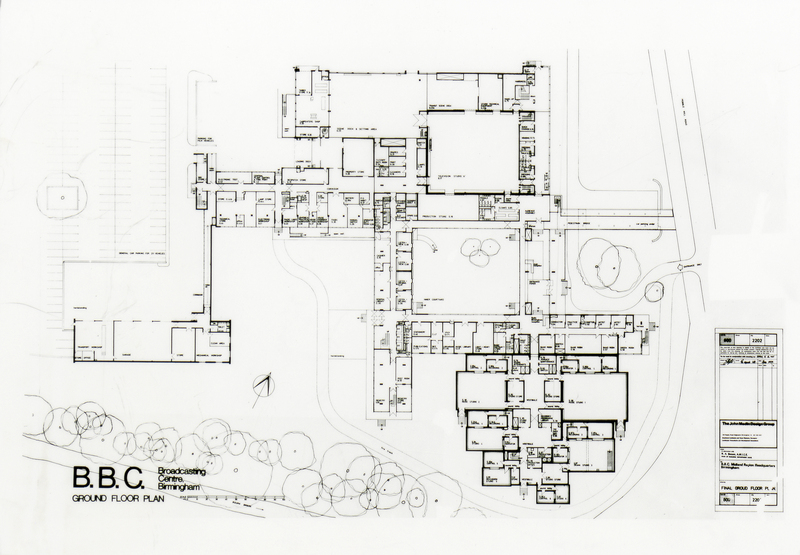 This is the architectural plan for the ground floor of the Pebble Mill studios, from the architect John Madin’s practice.